Hello! Here's a list of links to Paeony's blogs at the Picture Book Den, or click here to see them all. The newest blog posts are at the top. Do hardback children's picture books lack something? Why do some picture books stay in print for decades? Why did the picture-book illustrators grumble about drawing horses? How many words in a picture book? What's at the heart of a picture book? Stealing and murder in picture books? How do you write picture books if you're not the illustrator? Sometimes people are confused by my name (blame my dear parents!). 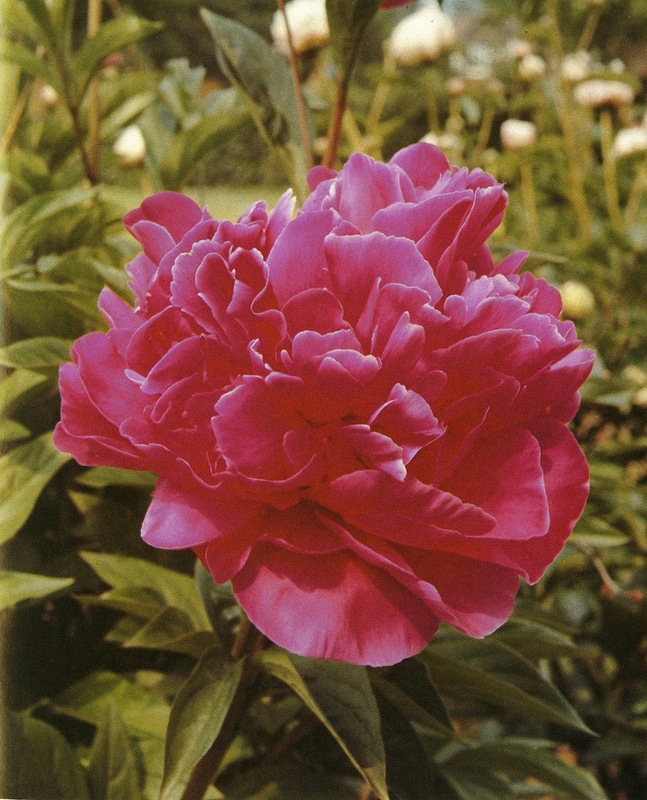 Paeony is simply another spelling of the flower peony. Here’s a photo of Paeony on a school visit. And here’s a peony flower (they were in bloom when I was born). For many years I’ve lived in the city of Norwich in the East of England. I went to university here, married, worked in publicity and publishing, and finally had children. It was through reading to my children that I became inspired to write picture books. The idea for my first picture book came from my young son who worried that I wouldn’t love him if he was naughty. Of course I would, and that led to the book I’ll Always Love You. Although published over ten years ago, it’s still in print around the world and remains popular. Grandpa Max has read it on The Tweenies (BBC television) and it was even featured on the US series, Glee (that surprised me!). I’ve now been published in over twelve languages and here are some of my books. That’s Arnold guarding the biscuit tin (from my two Florence and Arnold stories). 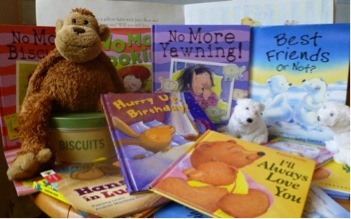 Hope you enjoy our blog at the Picture Book Den. Happy reading!